Would you recommend Save to Facebook to a friend? @rrhoover @eyal_weiss I don't get the point of using this when products like Pocket and Instapaper already exist. @akhiluk @rrhoover @eyal_weiss Pocket and Instapaper are really good, but Facebook is one of the places you want to see your daily news (from friends, tech websites, celebrities etc), why not everything you saved "surfing" the web? @_jacksmith I tried using the Save functionality in Facebook, saving links when I'm browsing on mobile and then checking them later. But the fact that it's a closed system with no API to access the saved items put me off it. This is more of a personal problem, but the Saved items list is hidden pretty deep in Facebook, whereas with Pocket it's right there on my home screen. @akhiluk it's not always buried...fb will pull recent links from your Saved collection into your news feed every so often. It's a nice reminder that you have these things you meant to read so why not click through and read them instead of continue to browse Facebook? 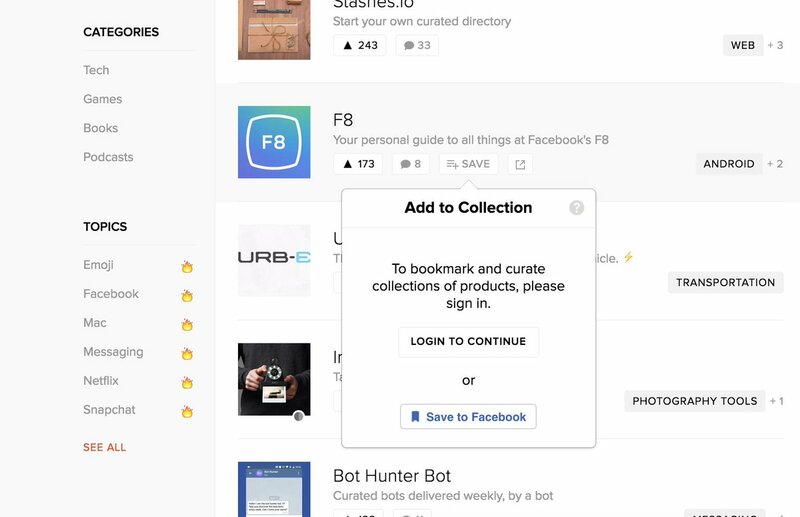 In this context, the links you save in Facebook are more visible than hidden behind an app you might not open for a while. This is awesome. Great job Eyal!